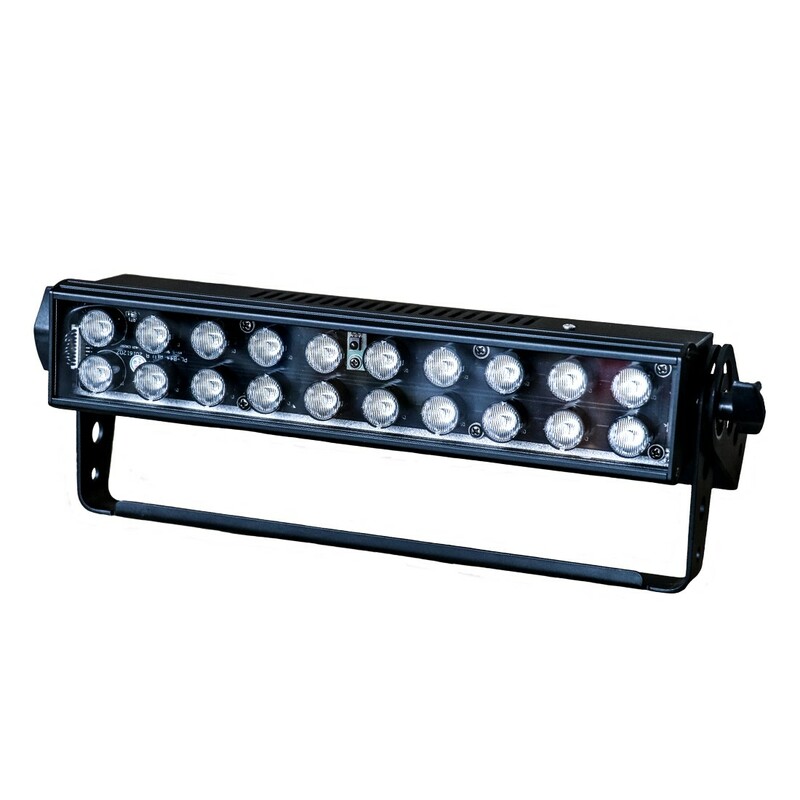 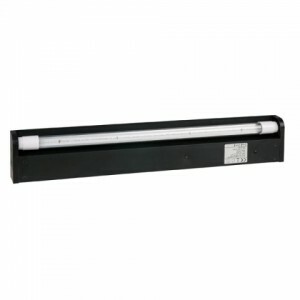 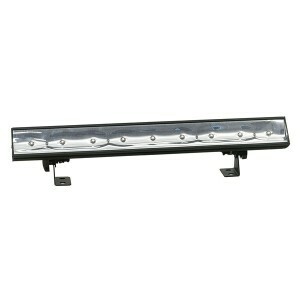 The UV LED BAR 20 IR is a high output ultraviolet LED backlight that comes with a wireless remote for easy control of On/Off and strobe speed. 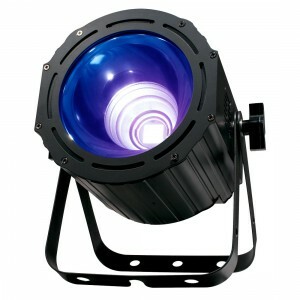 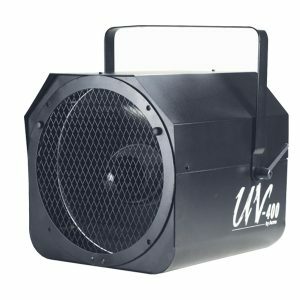 It’s powered by 20x 1-Watt UV LEDs with a maximum power draw of only 30W and has a beam angle of 10-degrees x 40-degrees. 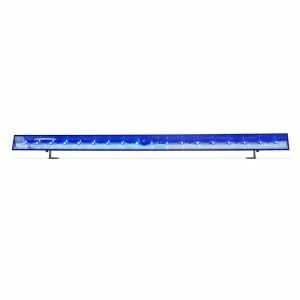 With a LED life of approximately 50,000 hours, the UV LED BAR 20 IR is a nearly maintenance free solution for washing stages, nightclubs, Bowling Center, Roller Rinks and Fun Centers with ultraviolet light.